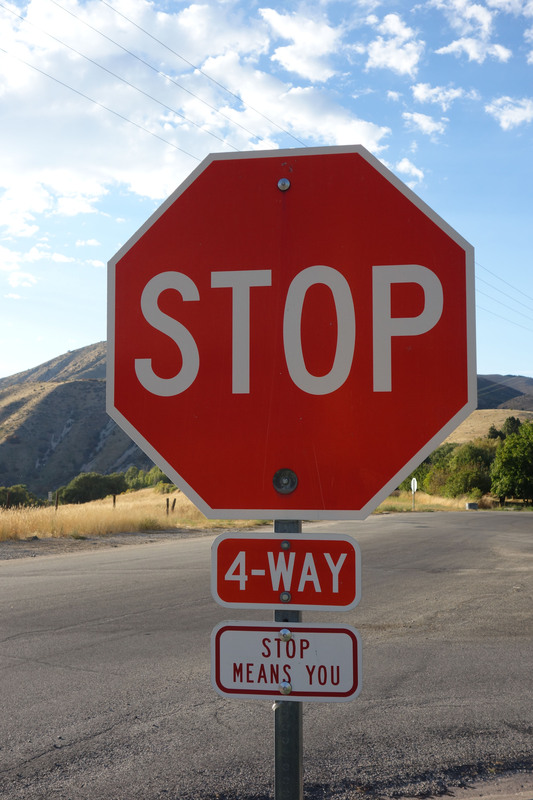 Yes, dear motorist, you really do have to stop at this stop sign. 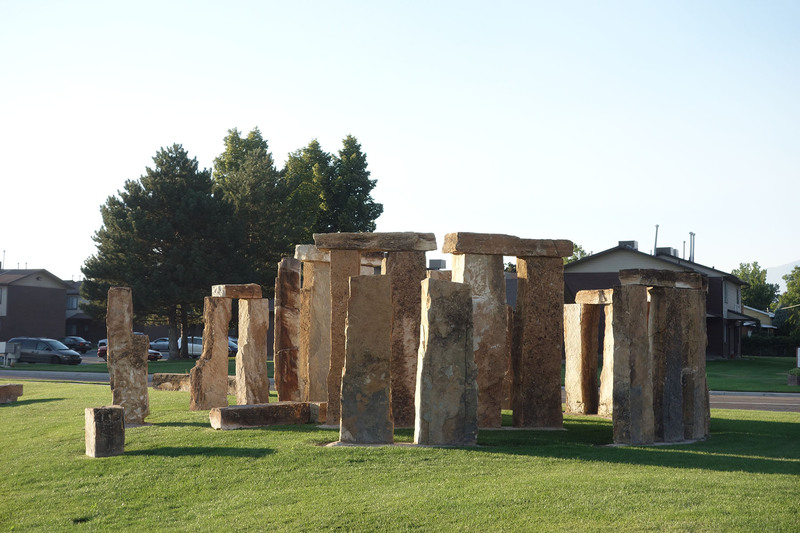 Mini Stonehenge resides outside a skilled nursing facility. 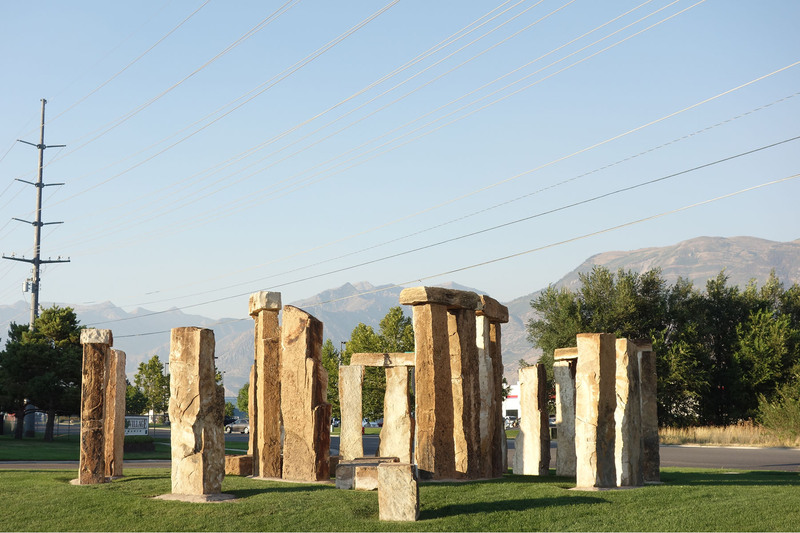 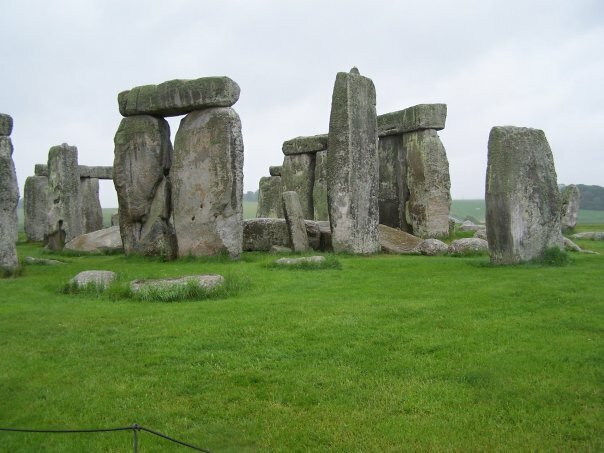 The tenuous connection between Mini Stonehenge and Real Stonehenge seems to be that both are places of healing. 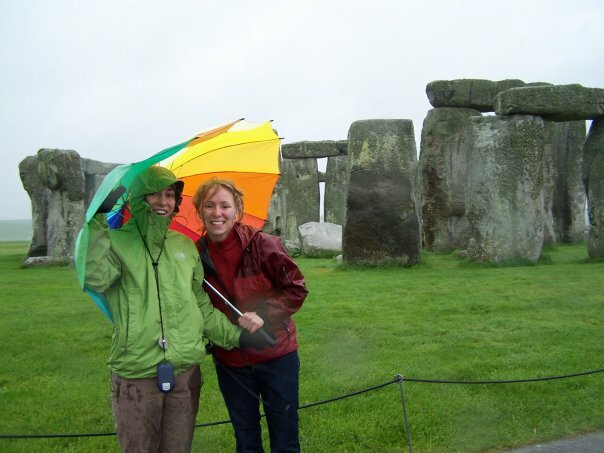 Just for comparison, here are some photos of me and my sister on a very windy and rainy day at Real Stonehenge in England.